As we get ready to say farewell to 2010 I wanted to wish everyone a New Year filled with joy and innocence. And before I scurry back into the world of the NX-01 to work on my latest schematic, I wanted to leave you with this little gift… Check it out after the jump. And Red Shirts dressed up like Andorian Eskimos. Help to make the nova bright. Will find it hard to regenerate tonight. He’s loaded lots of tricorders and phasers on his sleigh. To see if robot reindeer really know how to fly. 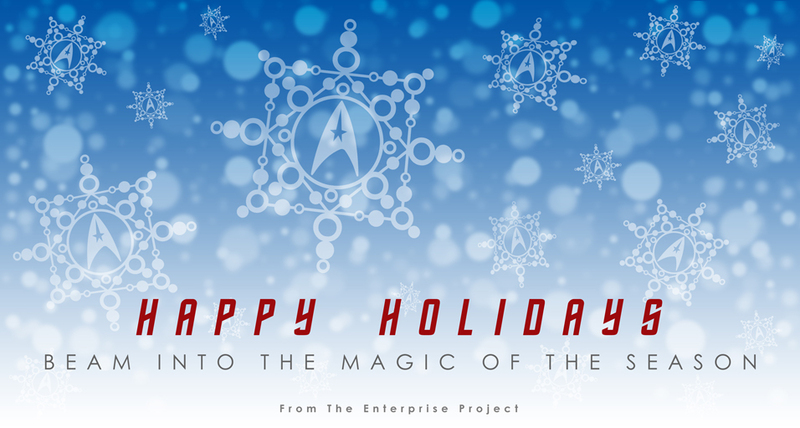 A very Merry Trek Christmas to you. Lyrics and song by Torme and Wells with a little Trek from yours truly. Nice version of a Chrimbo classic. All the best for the future. Merry Xmas and a Happy 2011!